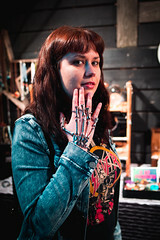 The work of Raven Mimura was featured at Krab Jab Studio. 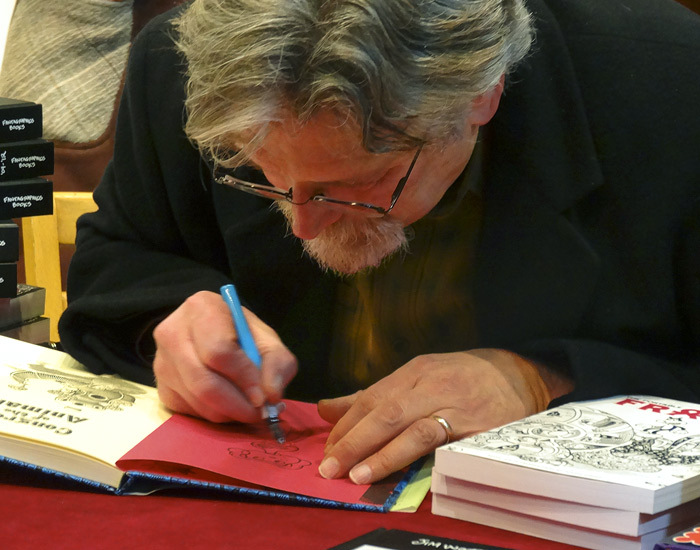 Jim Woodring signs a new copy of his latest book, “Problematic” at Fantagraphics Bookstore & Gallery. “Forest” by Bette Burgoyne at LxWxHx. 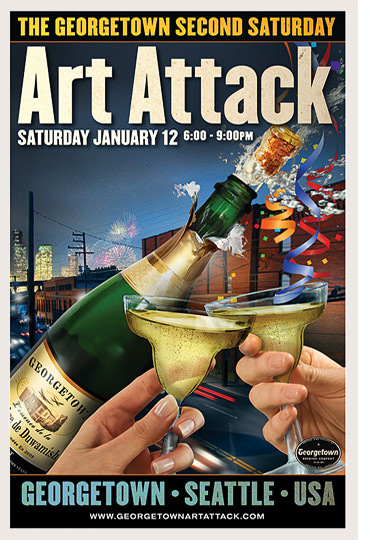 Georgetown Art Attack Rings in 2013! Why just end the New Year celebration on January 2nd? Georgetown is just getting started… come join the fun featuring good food, great spirits and spectacular art, sure to pop your cork and wet your whistle! Great Food: Try our delicious dishes at places like Calamity Jane’s (comfort! ), Fonda La Catrina (Mexican), Smartypants (soup/sandwiches), via Tribunali (Italian), Stellar Pizza (world famous), or go vegetarian at GLC! Good Brew: 9 lb Hammer or Jules Mae’s Saloon will set you straight – or get it to go at Full Throttle Bottles. Designated drivers can stop off at All City Coffee or Ground Control for a nice cuppa Joe. Guided tours of Georgetown’s Art Attack and its hotspots are made available through the fun folks of Heart of the Attack. All City Coffee presents “Little Bits and Pieces” featuring Alex Achaval, Zak Alexander, Sullivan Giles, Jesse Link, Caroline Roosevelt and Catherine Cross Uehara. American Pie and Bakery is hosting a group show of mask makers Kyle Ward , Timothy Stephens, Roger Wheeler , Marilyn Young and Tamara Clammer. Calamity Jane’s presents “Bad Boy” paintings by Xavier Lopez. Equinox Studios features the followings artists: Stacy Rosevear, oil painter and printmaker, shows new prints and a sprinkling of oil paintings. Also, a large new sculpture, think Venus parts… Betty Jo Costanzo, oil painter, shows Tres Madrones sobre Los Coyotes, Patrick Dwyer. Melinda Hannigan, oil painter, shows progress on her large 6’x6’ canvasses. Sophia Wheelwright, assemblage, shows Sum-Thin this month! Syd Shera, ceramic art, shows new work: raku diving duck boxes. John Kirschenbaum, woodwork, “would.” Yep. “would.” Sam Farrazaino, sculptor, shows work in progress, and perhaps a facsimile of himself! 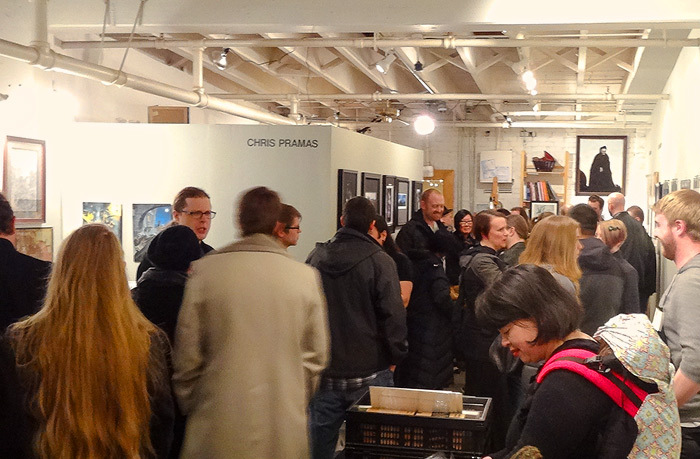 Fantagraphics Bookstore & Gallery hosts PROBLEMATIC, a drawing exhibition and book signing of Jim Woodring. Fonda La Catrina hosts Patri O’Connor’s vibrant landscapes. The Georgetown Arts & Cultural Center presents “Ascension / Descension”, works in oil created for the after life by local Georgetown artist Angielena Vitale Chamberlain. Georgetown Atelier hosts its monthly free drawing jam featuring a costumed model, bring your sketchbook and join in! 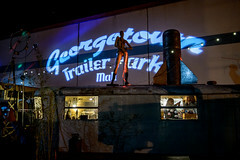 Georgetown Trailer Park Mall is having a New Year Market Party! 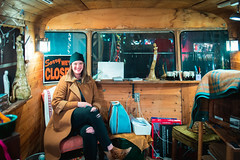 Peruse newly curated vintage & locally made collections. Experimental media installation and special guests. Krab Jab Studio presents the work of illustrator Raven Mimura. Le’Objects for the Home presents Angelina Tolentino, featuring an ” Underwater Circus”. LxWxH: features the work of Bette Burgoyne entitled “Forest”. Mary Tudor & Ferrell features Mary Tudor art with environmental, soul calming elemental visuals and Ferrell with spacial and abstract paintings in varying sizes and formats. 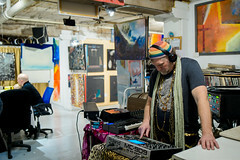 Music by Luscious Leopard Lips, Georgetown atmospheric music DJ with a Theremin synthesizer. Nautilus Studio presents the whimsical creepiness of Ego. Northwest Wood Design debuts its workshop of custom designed and built furniture, using salvaged trees indigenous to the NW. The Roving Gallery will be featuring art by studio artists Keli Sim DeRitis, Roxanne Fawcett, DeniseChandler Smith and Janet S. Crawley. Sage Artistry Studios hosts Shadow Self, a collection of mixed media and sculptural works by Melanie Trowbridge and Sherri Gamble. 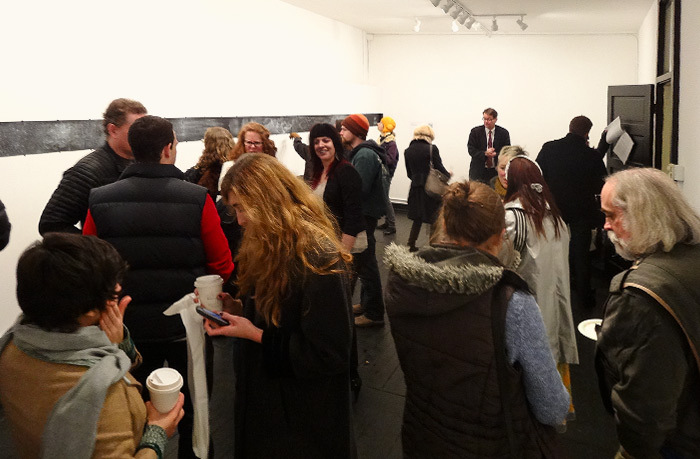 Waxing Impressions features an open studio – learn about the process of encaustic painting!